Pay it forward. We’ve seen the movie. We all have a general sense of karma. We smile at passers by, hold a door open, drop change into a tip jar, turn in a lost cell phone, jump start a car… I consider myself to generally be a “good person.” I often find myself doing little things for strangers, it comes naturally, but I have never, never done anything truly grand for someone that I did not know. If you would have asked me anytime within the last 14 years or so if there was any band that I would want to see live, I would have said Refused. I went to a lot lot lot of shows throughout high school and my early 20s. I’ve seen many bands, both big and small. To this day, one of my favorite activities is enjoying live music. I may not subject my body to standing front row when the music is heavy anymore, but certain vocals, breakdowns, solos, and encores still give me goosebumps. 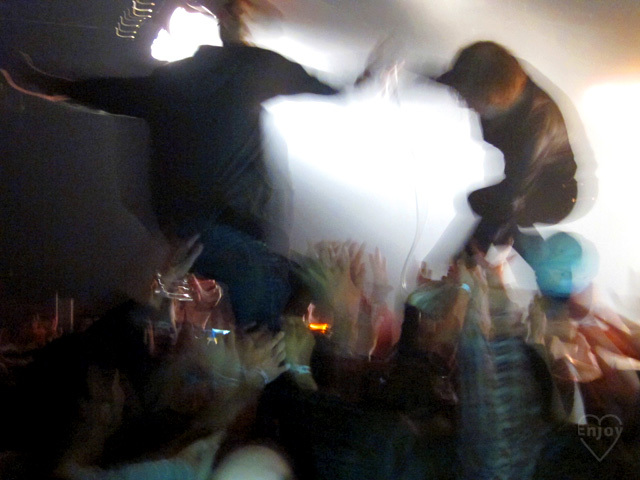 When I recently heard that Refused was getting back together to play Coachella, I flipped. My first instinct was to try to get tickets (even though I only wanted to see a few bands and the idea of camping out in the heat for 3 days sounded horrible). I tried to get tickets to a San Francisco show that they announced, but it sold out too quickly. When The Glass House announced that there would be a show there, I knew I would do everything that I could to obtain tickets. I had to. The ticket sales were a logistical nightmare. 2 record stores in the LA area and The Glass House would all be selling 100 tickets each at 6 PM, each person could by 2, and you had to give the name of your guest upon purchasing a ticket. I left work early and booked it to Hollywood by 3 to no avail, the line was already nuts. I then would have to try my luck via Ticketfly so I hightailed it to Fullerton. I was simultaneously on a PC, netbook, and phone. Mark was on a PC at work and phone, and had friends trying to get tickets for me as a surprise birthday present to no avail. Long story short, not only was the nature of Refused’s 14-year reunion bringing extreme traffic to Ticketfly, the website also had serious technical difficulties and after about an hour of incessant browser refreshing, I was empty handed (and truly, legitimately depressed). Throughout the entire day, I had taken to my favorite social media outlet, Twitter. 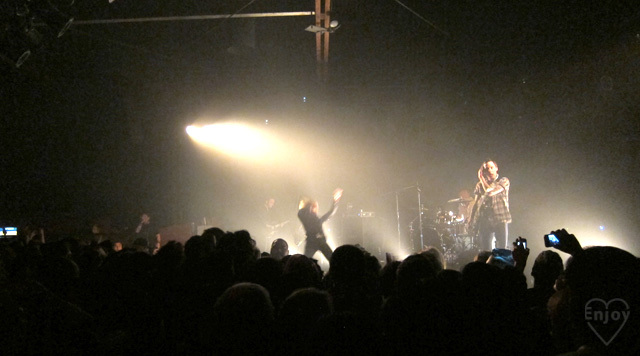 I had been closely following all of the Refused Twitter chatter to see if others were successful where I had failed. Out of no where, a stranger by the name of @framerate struck up a conversation with me.. Justin had gotten tickets and encouraged me to keep trying my luck with glitchy Ticketfly. Let me just take a brief moment to pause and tell you that in my life, Twitter is where magic happens. Through Twitter, I have cultivated several of my closest friendships and I have to give it credit to bringing me and the love of my life together. My love for the “micro-blogging” social network knows no bounds. Thanks to someone that was merely an @stranger at one point I was able to see the best show of my life. All that he asked for in return is that I return the favor for someone else one day. It didn’t hurt that he was cool as hell and I’m pretty sure Mark and I made yet another virtual-life to IRL friend conversion. Justin, thank you for your generosity, for making my birthday week insane, for the show of a lifetime, and for already adding to what I’ve considered to be best month ever. OMFG. a) i have no idea who this band is, but i get the obsessing for a band thing. b) this stranger IS SUCH A FREAKING SWEETHEART! c) stories like this restore my faith in humanity! someone once told me that humans have potential for great good, and they have the same potential to do great evil. clearly i prefer the humans that do THE FORMER, not the latter! lol! anyway! we can all try harder to do nice things and to make people happy, including me!